Color Migration: If product design has layered colors, these colors will not migrate or “bleed” between layers. These products may speckle in mp soap. To lessen the speckling, mix well and do not over use. 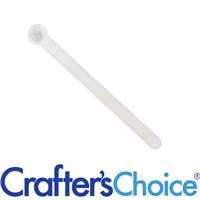 You Save $9.55 by purchasing this kit rather than buying the items separately. COMMENTS: Used in cold process soap and they worked great. I love how nice they turned out. COMMENTS: I loved all the colors except the lavender one. In CP soap it comes off as very gray and not potent. However, the other colors are gorgeous and easily blended. "These colors are really nice"
"Loved this sample pack! " COMMENTS: I hope they bring it back - This is a great sample pack and I would buy it again. Also there are a few colors I would love to purchase ( the bright purple) that I can't find now on the website - It was so gorgeous! COMMENTS: I did not think too highly of these color powders. They are hard for me to work with getting them dissolved properly. It is probably just me but I think next time I will order the colored liquid dye. COMMENTS: This is a great started when wanting to sample different colors. COMMENTS: This was a great sample kit. It is so nice to receive several colors in the kit to try. This was more economical for me.Almost finished with the kit, time to buy larger sizes. Thank you for making this available. COMMENTS: This kit contained a wonderful variety of colors. Since you only need to use a small amount, I have plenty of colors for both my CP and MP projects. I like that I have a nice variety to choose from without having to spend much to stock my soaping supplies cabinet! I will no doubt order larger sizes of some of the colors, but this set was a great starter kit. COMMENTS: A little goes a long way! I have used other oxides and these by far are the best. Other oxides and pigments I have had to mix them heavily in alcohol and these I do not. I love the color. "Color Sampler: Powders - Pigment & Oxide Colors"
COMMENTS: Perfect was to sample a wide range of colors without having to purchase a larger quantity that I may not care for. There is enough product in the sample to allow you to make a few different color batches for comparison before making a final decision on the colors I want to continue using. COMMENTS: I just loved this, it was perfect to get an Idea on how to use colors. COMMENTS: This is a great way to see which color you want to invest in, just read the reviews for each color carefully before using. I ended up with some strange soap after failing to read the matte purple pigment turns brown in cold process soap. COMMENTS: This is great for beginners, it really does give a variety of the basic colors. I would recommend it to anyone who wants to experiment with color but unsure what they want. It's also great for just experimenting with your products. COMMENTS: This sample pack is great! The sizes are reasonable and allow for several small projects each. This is definitely the way to go if you want to experiment with different colors! COMMENTS: I like this better than the color blocks since those are suspended in soap that is not SLS free. Also i can use these in more products other than soap. Very glad I bought this. COMMENTS: Love the variety of colors in the sample pack. I was able to test out all of the different colors instead of having to purchase them individually. COMMENTS: Just my opinion, but it would be always best to get this sample kit. You get unlimited colors and like I said a little goes a long way. When I run out, I will get this again, there are so many uses for this. COMMENTS: Love the sampler pack!!! It has allowed me to test out many different colors without spending an arm and a leg. So far all of the colors have behaved for me in my cold process soap. COMMENTS: Great way to try different colors without having to spend too much. You get quite a bit in each sample packet. COMMENTS: I ordered this when I was just starting to make cp soap and I would highly recommend this set. It gave me a chance to try a wide variety of colors and see which ones I like and which I am not too fond of. Overall they are all very good, I have ordered larger sizes in several of the colors. A little of these goes a surprisingly long way, don't over do it or your soap may stain. COMMENTS: This is a great way to try out new colors. Great value...a little goes a long way. "Pigment & Oxide Powder Colors"
COMMENTS: I love all of these. They have wonderful color. If I have had any trouble depending what I am making at he time I just give it an extra good few stirs or use my mini mixer. In soaps I have used sunflower oil or sweet almond oil. "perfect way to try colors"
COMMENTS: excellent and easy to use. works great in HP. COMMENTS: When I first started making cp soaps this was an affordable and effective way to test different types of colors and how they work for me. The amounts seem small, but since these powders go a really long way, I was able to make quite a bit of soap out of them before figuring out which ones I liked best and wanted more of. 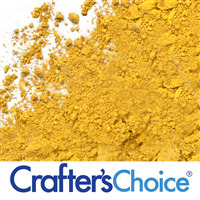 It's a great way to learn how different types of colorants behave, which helps tremendously with later selections and saves money in the long run. All of them didn't work in cp soap, but if I had read about each product individually I would have known that. I would like to see some sampler packs made for specific uses, like a pack for cp soap, a pack for lip gloss, etc. COMMENTS: I love these samples. They go a long way, much further than liquid MP colors. I was pleased with how beautiful my designs came out. I did not care for the yellow, (very drab for my taste) but loved the green. (It looks just like leaves and grass!) Blue is great too. Looking forward to try out them all! 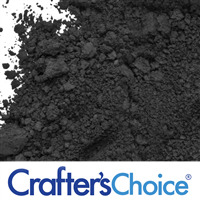 "Powder - Pigment and Oxide"
COMMENTS: I purchase the sample size, lots of colors. Works great in CP. With MP I had to mix in an oil first. I recommend this product. "great way to try new colors! " COMMENTS: This was a really great, inexpensive way to try new colors! COMMENTS: I love being able to try a bunch of different colors and then deciding which ones I am going to purchase more of. Love the purples. The matte yellow came out more tan than yellow. Have yet to try the other colors. 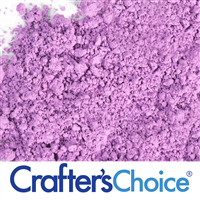 COMMENTS: I absolutely loved this color sampler kit! It allowed me to play around with a bunch of different colors before committing to buying larger quantities, which is always good. All of the colors have worked well, and after about 4 small batches of soap, I still haven't had to buy any additional colors. COMMENTS: I like these colorants they work beautifully when mixed with glycerin, a little goes a long way.The only one I didn't like was the purple matte pigment powder, it morphed in the high ph of the cp soap. I will purchase these again. "Perfect amount of colors to play with!" COMMENTS: Used these colors for my goats milk cold process soaps. Its the perfect batch of colors to play with while perfecting what does what when your not using already manufactured bases. Some of the colors morphed into less intense versions of the actual color, for example, the purple's turned out somewhat grayish, but the teal green was amazing in a peacock swirl! Will buy the sample pack again when it becomes in stock! COMMENTS: Great value for testing out some colors. I primarily work with CP soap so I knew some colors wouldn't work at all but those that could be used with CP soap without fear of morphing performed nicely. The colors came through true. As for the other colors that couldn't be used in my CP, I used in MP which again performed nicely. I will be purchasing larger quantities of my favorites. COMMENTS: For my first time trying out pigments and oxides, this was great! It was cost effective for all my "oopsies". Great value! "All Colors are great except Matte Purple"
COMMENTS: • (1) 0.1 oz (sample bag) - Matte Purple Pigment Powder turned part of my soap brown. I should have read review before making. It made my two pound batch ugly. COMMENTS: If you are a beginner or even advanced, I highly recommend getting this kit. I did not know which color I would like and the individual price was up there. This kit is still up there, but you get a large variety and you barely use a pinch when you make soap. It will last a long time and looks amazing. COMMENTS: I am so glad I ordered this sampler kit. The colors turn out great every time, and a little goes a long way!!! COMMENTS: I bought this sampler pack for my first time buying oxide and it was great to test out the colors to see what colors i like without purchasing all of them at once. "Powder and pigments samples kit"
COMMENTS: LOVE LOVE LOVE this sample kit, I was able to use this on many batches, easy to mix and match and make up my own colors as well! I am in need of more, so I will be ordering this again! COMMENTS: This was my first foray into colorants. This was package was a great way to test and experiment with. Helped me to decide what colors to purchase more of. COMMENTS: thank you for a sample pack! Lets me figure out which colors I can't live without. Very affordable. The colors worked wonderful in cp soap. No migrating. You can use less than what you might think, goes a long way. Gorgeous bright colors. COMMENTS: Very pleased with this sample pack. Purples did end up being gray after soap mixed together, but I think if I had first used titanium dioxide that wouldn't have happened. "Pigment & Oxide Powdered Colors"
COMMENTS: I've used these colors in both CP and HP. Used in my CP I was leery my colors would morph, but the blues stayed blue, I needed a darker blue to use with a lighter shades of blue so I combined the blue with a bit of black and got a very nice darker shade of blue. Very happy! "a great value, and a little goes a looong way "
COMMENTS: im so glad i decided to buy 2 sets of this sample pack, ive used it in 4 projects and still have a ton of pigment left. i would definitely recommend you buy this set before getting full size bottles of any of these pigments, as these pigments go such a long way. COMMENTS: I loved the assortment in the colors & worked great in my cp soap. A little went a long way. COMMENTS: This is a great way to try out a bunch of different colors without buying each one separately. 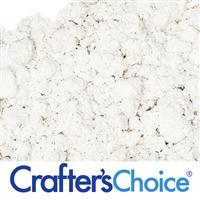 COMMENTS: This sampler pack is a great way to economically try different colors and avoid purchasing large amounts of a color that won't create the desired color in cold-processed soap. "Love love love this sampler"
COMMENTS: The title says it all. I absolutely love this sampler. Colors are true and you only need a little. Gives me the freedom to design or just play without going broke. I hope they never remove this product!!!!!! "Great Way to try Colors"
COMMENTS: I have enjoyed experimenting with the colors in this package and might purchase it again just because it gives me a nice variety to have on hand to supplement the colors I use more regularly. "I noticed you have answered yes to questions that ask if these can be used to make bath bombs, so I purchased it. When I received it I noticed most of the colors have oxides and ultramarines. Won't that make the bath bombs smell like rotten egg? I'm hoping not, considering you have answered yes they are ok to use for bath bombs." Staff Answer We have updated the answers to these questions. Each color has different usage applications. You would need to check each color to see if they are safe for "Bath Water". If they are not, then they should not be used in bath bombs. The only color we have found that can leave a rotten egg smell is the Ultramarine Blue, which is not safe for use in bath bombs. "If I use these colors in bath bombs, do I need to use polysorbate 80 to prevent a ring around the bathtub? " Staff Answer It is best to use the poly 80 to help prevent any color sticking to sides of bathtub and help any oils to mix in with the water. Staff Answer Each color has different usage applications. You would need to check each color to see if they are safe for "Bath Water". If they are not, then they should not be used in bath bombs. "Can I use these in Bath Bombs?" "What's the best way to incorporate these into MP soap? " Staff Answer They are best used by mixing with a small amount of glycerin before adding to the melted soap base. If you look at each individual color in this set, it will give you this information under "Directions & Ingredients". "The picture shows 12 colors in this set, the first half of the description says only 10 are included and the last half of the description only lists 9 colors in the set. So are we receiving 12, 10 or 9? The pictures shows 3 different purples which is why I want to try this, but there are no purples listed in the description as being included so what colors actually come in the set? Thank you!" Staff Answer This set contains 9 pigment powders. We have discontinued a few colors over the years and the pictures were not updated. We will remove the discontinued colors as soon as possible. The list of colors under "Additional Information" are what you will receive. "I have just made bubble bars with tow colors one of them is Matte Purple Pigment Powder,witch I no longer see in this set or anywhere in your sit, unfortunately the side witch is exposed to light and air from this color turned greenish! can you tel my why? and if you have an advise for the future to not fall into this again. Thank you." 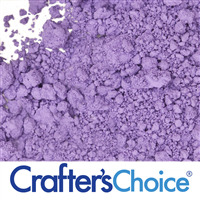 Staff Answer Certain colors, especially purples, can fade or change color in products. We recommend wrapping your products so they are airtight and keeping out of direct sunlight. When looking for colors, look at the "UV Fade" for each color, if available. If it states "yes", it is best to stay away from those as they will fade. You can also read customer reviews to see what others have experienced. 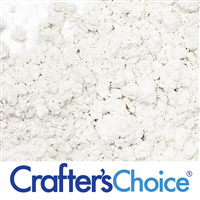 "Will the white powder help a HP Goat milk soap become white? Goat Milk HP is often a creamy beige when cured. I'd rather it be white. " Staff Answer Yes, adding Titanium Dioxide will help whiten your soap. "Can you use these pigment in bath bombs? " "Are these good for Cold Process Soap and how much would I use per pound (estimate)?" Staff Answer Yes, these colors can be used with cold process soap. The amount to use is a personal preference, but a little goes a long way. 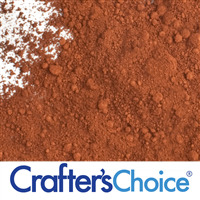 We recommend using Crafter's Choice Scoop - 0.15 ml (Micro Size) as a starting point then adding more to your base if you want it darker. To view this scoop, Click Here. "Can I use these colorants in body butters"
Staff Answer Yes, you can! You may want to mix the powdered colorant into a small amount of oil or melted butter before adding them to your body butter to prevent clumping. "can this be used to color my recipe for temporary hair color? " Yes, it should be fine for that. Many people use them in hair chalks. "What colors have you used that "Pop" the most?" Blue and red are my favorites. I think they are the most vibrant. Black and white and also great layered for a nice pop. "Can I use these for making sugar and salt scrubs?" "If I CPOP these oxides will it change the color in the final product?" Most oxides have been stable in my experimenting. I have yet to try them all but I am working on it. The purple was one that gave me trouble. The blue, yellow, orchid and black have worked out well though. I've never had the CPOP process itself be a culprit in a color morphing. The pigment powders I use that have morphed in CP have also morphed in My CPOP. Those that don't morph in CP for me, haven't morphed in CPOP. "How much pigment is needed per lb of soap?" Staff Answer There is no set amount to use since it will vary depending on the shade you want to achieve. I would recommend starting with small amounts and adding until you reach the desired color. 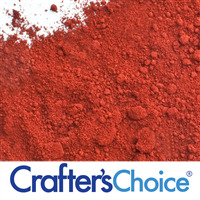 If you look at the product page for each color, there are pictures of the color you can achieve when using 1/2 tsp. in 2 oz. of MP Soap. 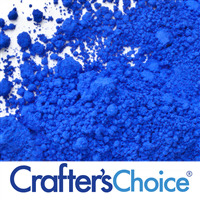 Its really up to you and the color you are trying to achieve, I start with half a teaspoon per pound and go from there. Be careful with the titanium oxide (white) as when I use to much it makes my soap crumbly when I go to cut it. "Can you use these for making makeup?" Micas are very fun colors to work with. Their color ranges way beyond the rainbow, and mixing creates even more unique and beautiful shades. Micas come in different particle sizes. The ones that are smaller than 20 microns give a satiny appearance while large micas with up to 150 microns provide a sparkle effect in makeup. 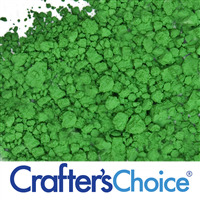 You can use micas (depending on the particle size) in all kinds of decorative cosmetics & personal care products.